This is an old post from 2008 I was recently revisiting. 5 years later, I think the logic has been proven. The way to begin something new in a given context is start with (at least ) 3 leaders living, praying operating in relation to each other out of their gifts. Then comes 12 who come alongside to learn and live out what God is doing. Then each of these 12 join with 10 or so people in their neighborhood. This group becomes a powderkeg for Kingdom activity in the neighborhood. At which point we start all over again. Send out 3, and the 12, all over again. Read this old post (slightly revised) and see if it makes sense to you? What questions do you have. Have these principles been proven in your experience of church planting? We are inclined to think that the way to impact the world for Christ is to do something “big.” It’s the American way: Do Something Big! In American church life, the churches that have the most influence are the largest churches in attendance on Sunday mornings – 10,000 or more. These are the churches that get the most attention – whether it be the front page of the newspaper, CNN or the denominational conferences. I do not wish to deny the “successes” of these churches. Something has clicked, a “wave has been caught,” the tipping point has tipped and some work for God’s Kingdom has gone forth. But often what happens is people seek to “model” the success evident here at the exact time the movement has already peaked. I am not trying to do a sociological analysis of church strategists (I hate the very idea of church strategist). I just wish to offer some observations from my own sight lines. From my point of view, once a church hits what many perceive as “success,” what has already happened is that this same church has lost its ability to critique and engage culture. Specifically, it cannot even see how it has itself become a reflection of the culture. Worse yet, this church now has to maintain itself and in some cases go into survival mode. The large successful churches therefore lose their maneuverability in and among a culture. They lose their ability to be incarnational in the sense of actively engaging and being present in the newly evolving context they find themselves in. All this to say, the church best suited to make the most impact for Christ and His Kingdom both in terms of individual peoples’ lives and culturally for justice, is the smaller incarnational community embedded in the surrounding geographical community. Here there is cultural maneuverability sufficient to engage one’s surrounding cultural issues. Here, most of all, there is relationality. There is the wherewithal of a community to understand the social issues and get traction and do some “culture-making” – culture redeeming. I believe there is a social logic to this way of incarnating Christ culturally as a church in the surrounding community. It is no where better displayed than in Andy Crouch’s description of the 3,the 12 and the 120 in his book Culture-Making. Let me briefly summarize it. Andy says all “culture-making” is local. Certainly there are many cultural goods that have made a global impact. Think McDonalds, Facebook, even Ford Motor Company at the turn of the last century. Nonetheless, Crouch makes the argument that all of these global culturally transforming organizations began with 3 people, who then had 12 around them , who then had 120 people as the third layer of concentric circles where the impact is spread deeply into nooks and crannies of the surrounding cultural geography. Andy shows how many of the biggest cultural innovations of the century started with the logic of 3 core people committed together to a vision, purpose, idea or understanding of how to engage a problem, need or innovation. They then gathered 12 people who could explain it, understand it and carry it out further. They then gathered 120 more – these people I suggest are a sufficient mass of people who can know the 3 and the 12, build sufficient trust and coordination to coalese around the idea, vision or mission and birth it as a reality among themselves – make it visible in a community large enough so the world can see, taste and understand the revolution being brought forth. This above paragraph describes something of what must happen in the founding of a missional community which seeks to make an impact in its immediate surrounding culture for the gospel. This also resonates with my own experience of planting missional communities. It was NOT until we arrived at enough co-inherence between myself and (at least) two other leaders that we could then go further. Then we needed twelve more. Now we must learn how to find trust and share the vision/understanding with one hundred and twenty Christians (or people becoming Christians invited into the Mission) so that together – under the Holy Spirit – a living breathing manifestation of God’s salvation in Christ breaks forth authentically and in real terms AMONG US. Then the church as a force for God’s salvation becomes unstoppable in our surrounding geography, as in Acts 2:42-47 unstoppable. This is the social logic of the 3,12,120. From there, it might be that, every one of the twelve, if God so gifts, finds and develops their own triad of leaders from which another twelve are gathered .. and the next one hundred and twenty. We send out, and send out, and send out more and more communities. Of course none of this brilliant exposition by Andy Crouch would mean anything to me if the 3,12,120 was not in fact modeled by Jesus himself in the beginning of His church (as Andy points out), Jesus called his 3, Peter, James and John. They became his closest confidents and sharers of the vision. Then was the rest of the 12 that surrounded them from which came the 120 up in that upper room that day. 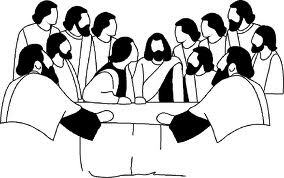 This is what we see in essence gathered that day in that room (Acts 1:13-15): the 3, the 12 (er 11), and the 120. And of course God used this to change the world. Following this 3:12:120 pattern in planting communities requires adjustments to the way we think about church. It will require multiple bi-vocational leadership using the APEPT model (the 3 or it could be 4 or 5) not a single senior entrepreneurial leader. These 3,4 or maybe 5 leaders are in mutual submission to the one Christ and Lord of the church. This is where I suggest all missional planters start. From here, we will all be challenged continually to “suspend the impossible” so that God can work in profound and miraculous ways. Cultivating this first among the 12 and then the 120 will take much nurturing and significant community. It will be organic and take time over many years. Growth will not be linear. It will require that we think success differently for it will be cultural success not just numeric success. Above all, we must understand that this has been the way God has in such profound ways changed the world and He can do it again, through starting small, the 3, 12, 120. I think we have just begun to see what is possible in this way of thinking about the church at Life on the Vine and our various communities. What about you? Has anyone else seen the logic of the 3,12 and 120 at work in your churches? We are inclined to think that the way to impact the world for Christ is to do something big. Think Big! Dream Big! It’s the American way. In American church life, the churches that have the most influence are the largest churches in attendance on Sunday mornings – 10,000 or more. These are the churches that get the most attention – whether it be the front page of the newspaper, CNN or the denominational conferences. I do not wish to deny the “successes” of these churches. Something has clicked, a “wave has been caught,” the tipping point has tipped and some work for God’s Kingdom has gone forth. But often what happens is people seek to “model” the success at a time when the movement has already peaked. I am not trying to do a sociological analysis of church strategists (I hate the very idea of church strategist). I just wish to offer some observations from my own sight lines. From my point of view, once a church hits what many perceive as “success,” what has already happened is that this same church has lost its ability to critique and engage culture. Specifically, it cannot even see how it has itself become a reflection of the culture. Worse yet, this church now has to maintain itself and in some cases go into survival mode. The large successful churches therefore lose their maneuverability in and among a culture. They lose their ability to be incarnational in the missional sense. All this to say, as I am prone to do, the church best suited to make this kind of a difference for Christ and His Kingdom both in terms of individual peoples’ lives and culturally for justice, is the smaller incarnational community embedded in the surrounding geographical community. Here there is cultural maneuverability sufficient to engage one’s surrounding cultural issues. Here, most of all, there is relationality. There is the wherewithal of a community to understand the social issues and get traction and do some “culture-making” – culture redeeming. I believe there is a social logic to this missional way of incarnating Christ culturally as a church in the surrounding community. It is no where better displayed than in Andy Crouch’s description of the 3,the 12 and the 120 in his book Culture-Making. Let me briefly summarize it. This above paragraph describes something of what must happen in the founding of a missional community which seeks to make an impact in its immediate surrounding culture for the gospel. This also resonates with my own experience of planting a missional community. It was NOT until we arrived at enough co-inherence between myself and (at least) two other leaders that we could then go further. Then we needed twelve more. Now we must learn how to find trust and share the vision/understanding with one hundred and twenty Christians (or people becoming Christians invited into the Mission) so that together – under the Holy Spirit – a living breathing manifestation of God’s salvation in Christ breaks forth authentically and in real terms AMONG US. Then the church as a force for God’s salvation becomes unstoppable in our surrounding geography, as in Acts 2:42-47 unstoppable. This is the social logic of the 3,12,120. From there, it might be that, every one of the twelve, if God so gifts, finds and develops their own three-some, from which another twelve are gathered .. and the next one hundred and twenty. We send out, and send out, and send out more and more communities. Of course none of this brilliant exposition by Andy Crouch would mean anything to me if the 3,12,120 was not in fact modeled by Jesus himself in the beginning of His church (as Andy points out), Jesus called his 3, Peter, James and John, and then the 12 and then the 120. This is what we see in essence gathered that day in that room (Acts 1:13-15): the 3, the 12 (er 11), and the 120. And of course God used this to change the world. Following this 3:12:120 pattern in planting communities requires adjustments to the way we think about church. It will require multiple bi-vocational leadership using the APEPT model (the 3 or it could be 4 or 5) not a single senior entrepreneurial leader. This is where I suggest all missional planters start. Find the 3 (or 4, or 5). From here, we will all be challenged continually to “suspend the impossible” so that God can work in profound and miraculous ways. Cultivating this first among the 12 and then the 120 will take much nurturing and significant community. It will be organic and take time over many years. Growth will not be linear. It will require that we think success differently for it will be cultural success not just numeric success. Above all, we must understand that this has been the way God has in such profound ways changed the world and He can do it again, through starting small, the 3, 12, 120. I think we have just begun to see what is possible in this way of thinking about the church at Life on the Vine. What about you? Has anyone else seen the logic of the 3,12 and 120 at work in your churches?